All the Monster-style personality and emotion find their maximum expression in a combination of accessories that highlight their unmistakable sportiness. With the streamlined design of the carbon heat guard, the slender number plate holder under the seat, the LED turn indicators and the special tank adhesive protector, the appeal of this model will be really spot-on. 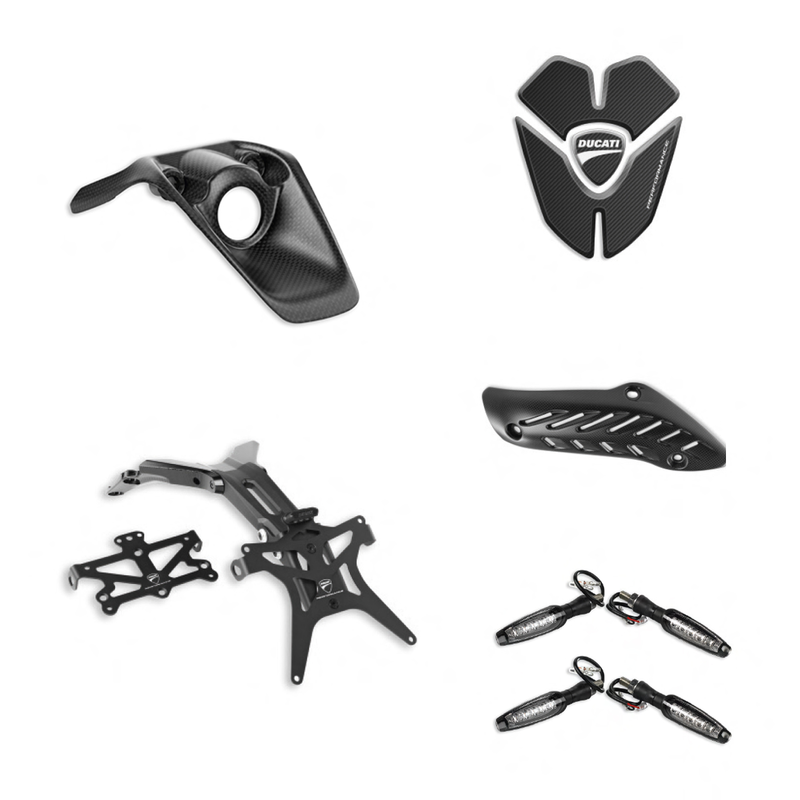 It includes the following accessories: carbon ignition switch cover, carbon guard for standard and racing manifolds, underseat number plate holder, 2 pairs of LED turn indicators, adhesive carbon tank protection.